Nick Bilton is a New York Times business and technology writer. 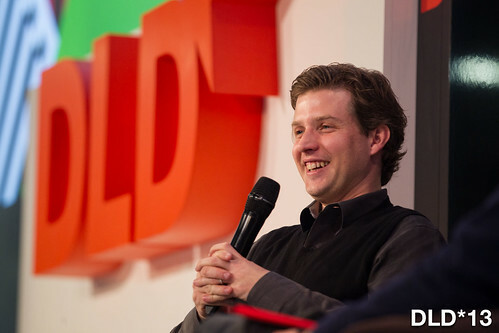 At DLD13 he interviewed Alec Ross (41), Senior Advisor for Innovation to US Secretary of State Hillary Clinton. Ever ready with a quip, Bilton kicks the interview off by saying that one person confessed they would be watching the talk only because Bilton and Ross are so handsome. Well, that may be so, but there is more to be said about these two gentlemen. “Chapter 1, page 1 of the ‘how to be a dictator’ handbook says turn off social media and the Internet,” Ross says. “On page 2 of chapter 1 it says that if you’re anticipating unrest, try to control what information is out there.” His point is that social media is no longer just about connecting people. It’s connecting people to governments and governments to people. Ross says that once upon a time operations – particularly those carried out by the CIA – were covert. “But in this very connected world the overt is more powerful than the covert.” And recent communication operations, for instance those in Iran, were overt. Should all politicians be hooked into social media then, asks Bilton. Ross believes that may be going a little too far – but he does think a good diplomat should be aware of the state of the world – and that includes social media. 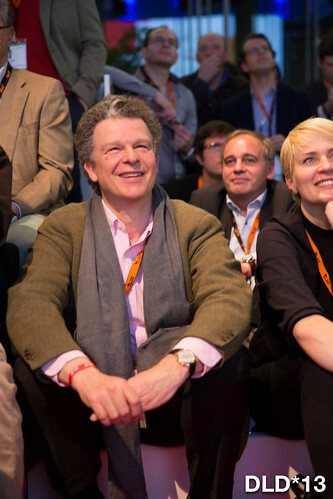 “I don’t think government needs to be at the head of the pack when it comes to new technology. I think it’s enough for us to keep up.” In fact, the US State Department has created 153 new jobs in digital. “Let’s discuss Malcolm Gladwell’s article,” Bilton says next. In a New Yorker article Gladwell wrote Twitter did not contribute to the revolution in Iran. “I don’t think he would have written that article after the Middle East uprisings,” says Ross. “And I also think the New Yorker should move it into the fiction section.” To Ross it is clear that social media increased the speed of change and facilitated leaderless-ness in the Arab Spring. Bilton takes that sombre note as his cue to lighten the mood a little. “Have you ever thought about you, Clinton and Snooki [a reality star] living together for a week for a reality TV show?” As the audience laughs, Ross rearranges his cowboy-boot-clad-feet and counters, “I’d say that would be more of a survival camp!” Seems he is keeping his future plans under wraps for a little while longer.